Pune, known for being the cultural capital of Maharashtra, and the “Oxford of the East” is a preferred choice for many. It is well-connected through Airways, Roadways, Metro and Railways which eases transportation. Be it a wedding, a concert or any other event the one thing people are concerned about is the weather. Pune is a place where you will find tranquility throughout the year, all thanks to its pleasant weather, which is something constant. If wedding is on your mind also the dates are fixed and you are looking for wedding venues, don’t you worry as we have shortlisted few venues for your big day. These venues are located in the well-known areas like Shivajinagar, Koregaon Park, Chinchwad, Pimpri and Karve Nagar. These venues in Pune offer delectable delicacies, stunning décor and great ambience for your function. So go ahead and have a look at them. Ramee Grand Hotel and Spa, Shivajinagar, Pune is one of the best banquet halls in Pune for corporate events, pre-wedding function, wedding and reception ceremony. Located near the famous Kamala Nehru Park which is well-known among the locals. It serves delectable delicacies in both vegetarian and non-vegetarian food. It has elegant décor that makes it ideal to host a grand wedding. The venue has an inviting ambience which makes your guests feel welcomed. This banquet hall in Shivajinagar has swanky banquet halls that are ideal for both small and big functions. Ramee Grand Hotel and Spa, Shivajinagar, Pune offers a comfortable stay to your guests. The Westin, Koregaon Park, Pune is a luxurious 5-star property offering both indoor and outdoor space to host your wedding ceremonies. This banquet hall in Koregaon Park is located on the Ghorpadi Road which makes it convenient for all to reach there. The venue serves palatable delicacies in both vegetarian and non-vegetarian food. The venue has luxurious rooms for the guests which gives them a comfortable stay. It has banquet halls that are well-suited for both small and big functions. It also offers yards of sprawling outfields, which can be combined with accented lighting to add elegance to your event. Plan your events at Westin Hotel Banquet Hall to make them outstanding. Hotel Ambience Excellency, Chinchwad, Pune is a lovely wedding venue in Pune to host your pre-wedding functions, intimate wedding and reception ceremony. Located near the famous Dilip Vengsarkar Cricket Academy Ground which is well-known among the locals. This venue in Chinchwad serves flavoursome delicacies in pure vegetarian food to their guests. It has lavish rooms for your invitees which gives them a comfortable stay. It has beautifully decorated banquet halls that make a picture-perfect venue for your big day. The luxurious décor of the venue gives a special touch to your big day. Book Ambience Excellency, Chinchwad, Pune to make your forthcoming events happening. Hotel Kalasagar, Pimpri, Pune is a gorgeous party place in Pune for pre-wedding and wedding ceremonies. It is located at a close distance from Pimpri Railway Station which makes it easily accessible for all to reach there. It serves luscious delicacies in both vegetarian and non-vegetarian food. The lush green lawn is ideal for an open-air function can accommodate a large gathering. It has banquet halls that are ideal for both small and big functions. 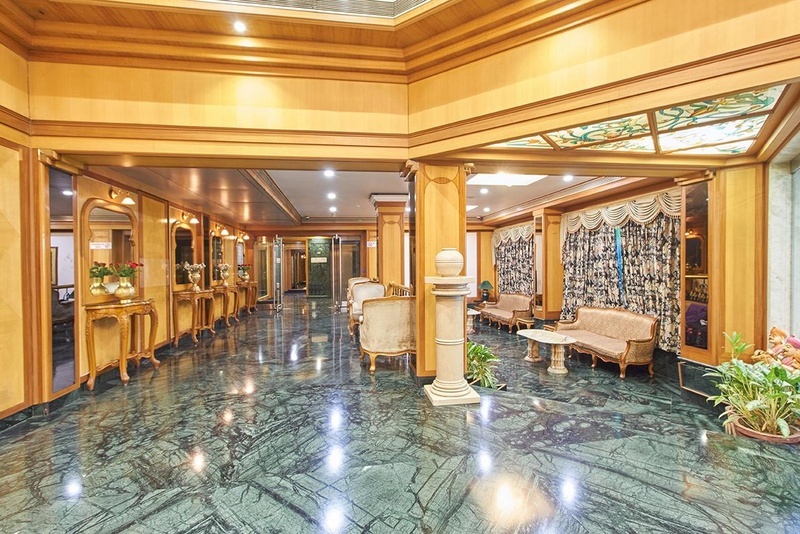 This venue in Pimpri has luxurious rooms for the guests which gives them a comfortable stay. Plan your upcoming events at Hotel Kalasagar, Pimpri, Pune to make them outstanding. Plan your pre-wedding function, wedding and reception ceremony at the beautiful venue Indraprastha Hall, Shivajinagar, Pune. It is located at a close distance from Chaturshringi Police Station which makes it easily accessible for all to reach there. This banquet hall in Pune serves scrumptious pure vegetarian food to their guests. The venue has luxurious rooms for the guests which gives them a comfortable stay. This banquet hall in Shivajinagar is ideal for both small and big functions. The elegant décor of the venue makes it an ideal option for hosting a grand wedding. The venue has an inviting ambience which makes your invitees feel welcomed. Book Indraprastha Pune, Shivajinagar, Pune for your forthcoming events and to make them outstanding.